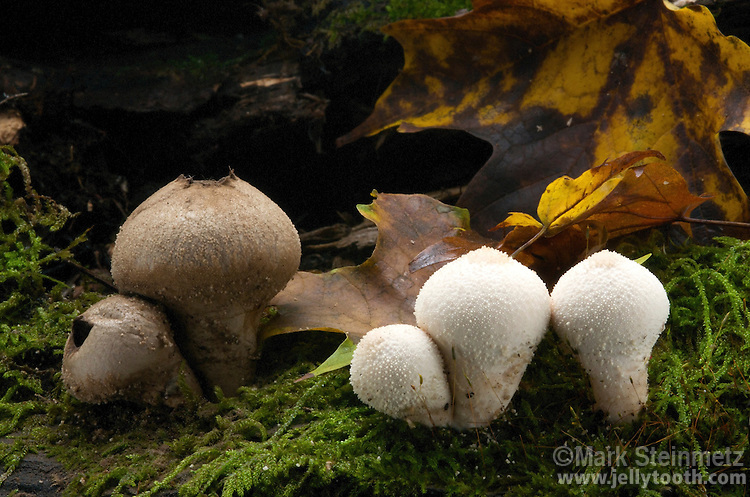 Gem-studded puffballs (Lycoperdon perlatum) ready to release spores. On the right, immature specimens which are pure white and edible at this stage. On the left, matured spore cases have turned olive-brown, and the interior powdery. Raindrops, wind currents, or animal contact cause dispersal of spores through holes which open at top of the spore case. Hocking State Forest, Ohio, USA.